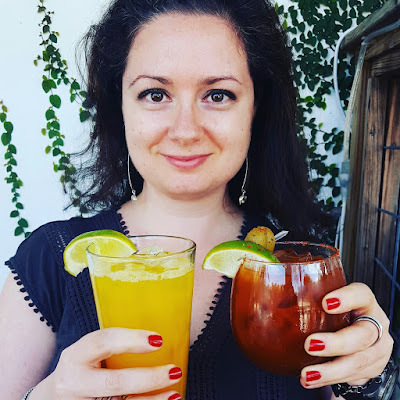 Mango & Tomato: Balsamic Vinegar Glaze: Anna Knows Best! fabulous! :) i've heard of doing this before actually. can't wait to see the salad recipe! 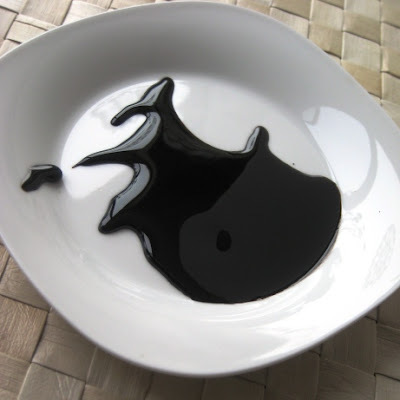 a balsamic glaze sounds great! Are you sure that strawberries and balsamic taste good together? It's not combination I would think of. Great joke though and one I am now very tempted to play on my boyfriend... Haha... good thing he has to wait another year for april 1 to come around again. I do think the smell would give it away right? I actually think the balsalmic would go great on the strawberries! 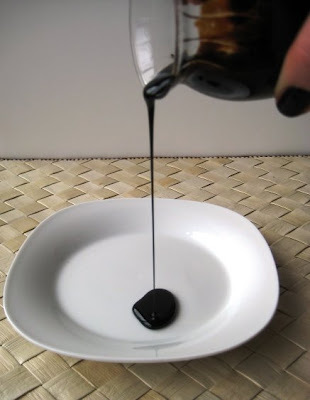 I was looking at a bottle of glaze in the store this morning - now that I know I can make it instead I think I will try! The dipped strawberry is a great idea really. The color of the glaze is deep and pretty. Would be great on a cheese plate I think. Yum! Never made one of these before. I am going to give it a try. Thanks! 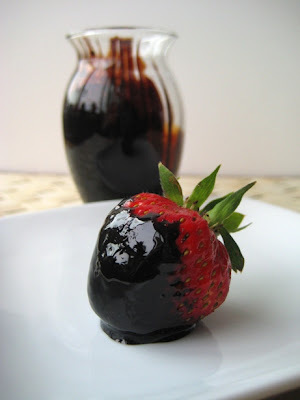 Balsamic glaze sounds wonderful with strawberries! Beautiful post! Love those strawberries! The glaze is also great on salmon. I think I'll make some soon and pair it with your salad! Yummy! I actually have Strawberry Basil Balsamic Vinegar I've been using for salads, but I bet reducing it would be great! Thanks for the tip! Tried the actual glaze on watermelon yesterday. Highly disappointing. It really does look like chocolate! 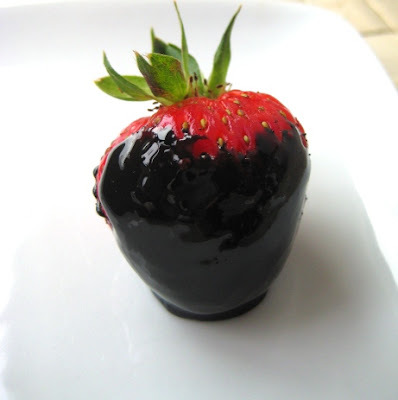 I think strawberries and balsamic is just a good as combo as strawberries and chocolate, maybe even better! Thanks for the recipe! Love it with strawberries.